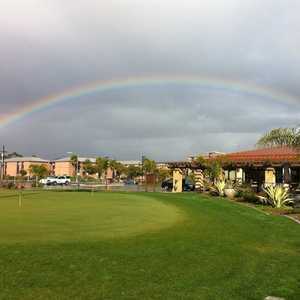 LA JOLLA, Calif. - The golf part of a San Diego area golf vacation is pretty hard to mess up. 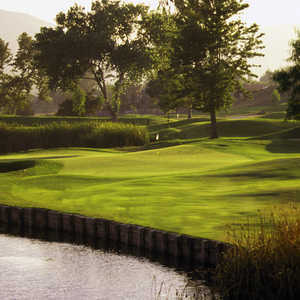 With well-known big names along the lines of Torrey Pines and La Costa North and South, a host of great mid tier plays like Barona Creek and Maderas Country Club and a collection of semi-reasonably priced lesser-known courses such as Steele Canyon Golf Club and Riverwalk Golf Course, the formula for a good time on the links is pretty simple. Pick a course or two from each category and swing away into your future bored office day dreams. Off course is actually where it becomes complicated in San Diego. For this land of ocean breezes and endless mid-60-degree days tempts with a wide range of communities all eager to get golfers to rest their spikes in this or that perfect zip code. Only many of them aren't. Perfect that is. One to avoid in particular is the Gaslamp Quarter. This area of shops, bars and restaurants in downtown San Diego is endlessly hyped by the Convention and Visitors Bureau. It's not a bad place to hang out if you're in town for a convention held at one of the nearby hotels. If you have to be in the area, it's a decent scene. It's just not up to what you can easily get elsewhere. La Jolla to be precise. This ocean-side community filled with trendy shops, restaurants and yes, more than a few tourist traps, is the perfect base for the San Diego area golf trip. 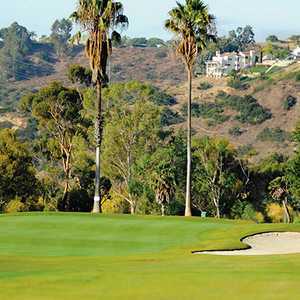 It's only 20 minutes from the city, not that you'll really need to go into downtown San Diego on a golf excursion. More importantly, it offers quick access to the freeways you'll need to get to all those courses (this golf scene is hardly Myrtle Beach one-road compact). But the best thing about La Jolla is that it provides all those things you actually go to San Diego for in the first place. You know, beaches, breezes, clean air, wildlife and a chefs so dedicated to using organic ingredients that you half expect those Brussels sprouts to grow right out of the fancy patterned plates. "The thing I like about La Jolla is that you have everything you need right there outside your hotel when you get back from a day out on the course," said Boston golfer Mark Sturzyinksi. "You're not driving all over the place, from the beach, to dinner, to the hotel. It's all in walking distance." It's difficult to imagine convenience being trendier than it is in La Jolla. On a recent trip there, I sat outside eating a relatively reasonable early dinner at 9-10 (a hyped bistro), watching Cedric The Entertainer make sure everyone in town noticed his silver Jaguar. Cedric did so many laps around the small street, you would have thought he was in a parade. All the while, La Jollans walked past, either oblivious or thoroughly unimpressed. Poor Cedric. The seals never have such troubles. La Jolla's beach is home to a school of harbor seals that lay out along a small cut-in beach area seemingly for tourists' viewing pleasure. The actual name of this small seal haven is Casa Beach or Children's Pool, but if you just keep walking along the main beach in La Jolla you'll run into it. There is a rocky viewing platform that juts out into the water that's often crowded with people watching a seal that's suddenly feeling industrious frolic in the sea (mostly the seals just lay there on the beach, letting the occasional wave wash over them). It is a better more authentic show than anything you'll see at the vaunted San Diego Zoo, the kind of true nature encounter you often miss spending all those hours on manicured fairways. Of course, this being California, there's always the chance for the humans to make a fuss. On this day, a would-be seal protector and a grandfatherly-looking guy who let the two kids with him play on the seals' beach (this area was originally set aside as a children's area) got into each other's face as onlookers stood rapt. This literal staredown lasted for a good 20 minutes until a cop on a bike pedaled up. All the while, the kids and the seals had each been doing their own thing, totally uninterested in each other. If only Cedric could have been there. Such is life in La Jolla. The best way to describe the people who populate this slice of commercial - but not too commercial - paradise, is hippie yuppies. They believe in the tenants of hippism, but could not imagine life without their SUVs or lush beach homes. For visiting golfers, this combination adds up to good, clean beaches and fairly inventive restaurants. Walking along the streets of La Jolla, passing the requisite Gap and Banana Republic, you can duck into a number of good grub options. George's at the Cove (1250 Prospect Street) and its five-course tasting menu for $55 gives you the high end. But all it takes to find a more casual alternative is to step down the nearby stairs to La Dolce Vita. At this over-the-top Italian bistro, you'll find a beautiful hostess and often a band trying to draw tourists in. Don't worry, the food's not nearly as cheesy as the setup. It actual turns into a great place to eat fresh pasta late into the night. That's the thing about La Jolla. With 65 restaurants to choose from in this compact city, you're going to having plenty of exploration options on any golf adventure. This contrasts sharply with the Gaslamp Quarter, which is actually a collection of only a few streets itself, barely bigger and often less hopping than La Jolla. San Diego's Gaslamp Quarter will never be confused with the French Quarter. Adding further weight to the La Jolla argument is the fact that it's a college hangout, meaning there are bars and places to play pool open past 11 p.m. That's no sure bet in the Gaslamp. "If you want to be with a bunch of businessmen stay in the Gaslamp," local Sue Kresge said. "If you want a more casual scene, you come here. It's pretty simple math." It's an equation hackers heading to San Diego should keep in mind.